The Salvation Army Korea Territory (commander Park Man Hee) on Wednesday revealed that singer and actor Kim Jung Hoon donated 1.45 tons of rice to the charity pot of the salvation army. 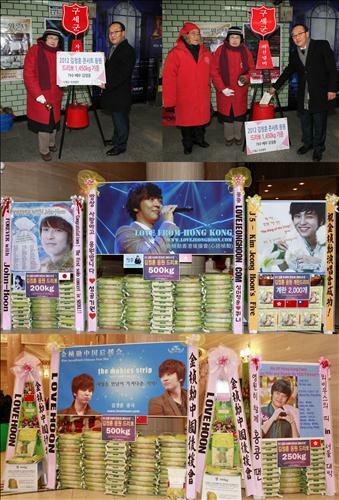 Kim Jung Hoon donated the rice he received from fans in China and Japan on the occasion of his first local solo concert. He also donated 2,000 eggs to the charity pot. The donated rice and eggs will be delivered to underfed children in Korea and Cambodia. The Salvation Army is now engaged in a donation campaign at over 300 donation spots in 76 localities across the country. The Red Kettle street campaign will continue until midnight on December 24.